Pest description and damage These species of holly leafminer feed only on English holly (Ilex aquifolium) and American holly (Ilex opaca). 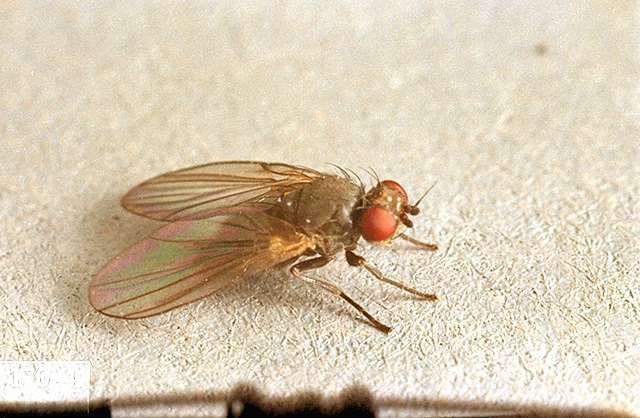 Adults are small, grayish black flies that emerge throughout May. Larvae are yellowish and about 0.063 inch long. 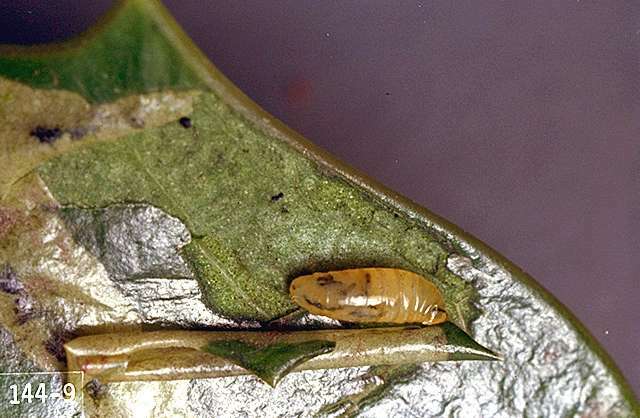 Characteristic damage by larvae includes the presence of yellow, brown, or reddish mines on the leaves. Initially, the mines are fairly narrow and winding, but become large blotches as the larvae continue to mine. They overwinter in the mine as mature larvae or pupae. The upper and lower leaf surfaces are easily separated where the larvae have consumed the inner tissues. Biology and life history These insects overwinter as larvae in the mined leaves, and pupate in early spring. The adult flies emerge in May and the females poke the leaves with their ovipositor and feed on oozing liquid. This results in small yellow pits in the leaves. A few days later, females begin laying eggs on the undersides of leaves in the midvein. The eggs hatch, and the larva burrows into the leaf and commences making the mine. They continue mining through the late fall. There is one generation per year. Pest monitoring With the first flush of the new growth, watch for small sunken spots where the female fly pokes the leaf with her ovipositor then turns and feeds on the juices. Initiate control to reduce the egg-laying adults. Hand pick and destroy infested leaves in the fall.